In the wake of actor-comedian Robin Williams’ tragic death this week–an apparent suicide resulting from his long-running battles with depression and addiction–the topics of depression, anxiety and addiction have become headline news. Chronic depression is more common than many people realize, and millions in the U.S. and abroad suffer from severe and debilitating bouts of sadness. 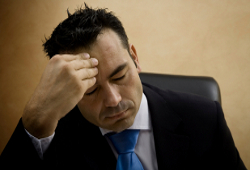 Many others suffer from anxiety disorders that can exacerbate depression. While counseling and various forms of therapy–sometimes in combination with prescribed medicines like anti-depressants–can help some people, many others are reluctant to discuss their depression with anyone and turn to alcohol and drugs in an effort to “self-medicate” and diminish or mask those feelings. Drinking and addiction often co-occur with depression, but substance abuse can make underlying depression and anxiety worse. When you feel depressed, do you have a friend you can talk to about your feelings? Have you considered formal counseling to help relieve some of the heaviness? Are you reluctant to take anti-depressants? Though medication may be helpful or required in severe or extreme cases, it may be in your best interest to look into natural remedies for treating depression and anxiety. The use of natural remedies is beginning to become a more popular alternative for treating clinical depression. Here are some natural treatment approaches to consider and discuss with your doctor. Changing your diet is a simple yet productive way to improve your body’s overall health and your overalls sense of well-being. Avoiding foods that reduce serotonin, such as caffeine can be helpful. Low serotonin levels can lead to depression as well as insomnia. Serotonin is a hormone that promotes sleep and a feeling of calmness. Eating foods that are rich in tryptophan, which is serotonin made by the body, can help. Eating turkey, eggs and beans can help increase your serotonin levels. Adding flaxseed oil to your diet, as well as eating fruits such as kiwi, bananas and cherries that are tart or sour, can help increase serotonin levels as well. Avoid eating empty calories or foods with no nutrients or that are processed, such as fast foods, junk or snack foods, and unhealthy fatty foods. Exercise is a great activity to add to your daily routine, not only for improvement with depression and anxiety, but because it can do wonders for your overall health. When you exercise, your body naturally releases endorphins, producing feelings of elation that are similar to the effects of morphine. Regular exercise can reduce stress, improve sleep and generally lift your moods. Physical activity can not only improve your physical health but your psychological health as well, because it can improve your self-esteem and body image. Low self-esteem can negatively impact the way you feel, especially if you get depressed or anxious about the way you look. Remember, exercise is not just running and lifting weights. Any physical activity, ranging from playing basketball to gardening, can be beneficial to your health. Meditation is becoming more popular, as it has continued to help people feel better and find ways to deal with stress and anxiety before these feelings get out of hand. There are different kinds of meditation, including yoga and Pilates, that you can learn. Simple relaxation techniques can help you cope with stress before it overtakes you. It can help shift your mind’s focus away from anxiety-provoking thoughts to breathing exercises. Meditation can give you a sense of peace, and can help you gain control of your tension as well as feel in control of your feelings and thought patterns. While many herbal supplements are still being studied and researched, there are some natural nutrients that can be included in your diet to help with anxiety and depression. St. John’s Wort, a wild plant which has been used for centuries for medicinal purposes, is said to help reduce anxiety and invoke calm moods. The supplement can also help reduce pain and tension as well as serve as an inflammatory agent, so it has other positive benefits as well. Another natural supplement, green tea, is said to help relieve anxiety. There is a chemical (including amino acids) in green tea called L-Theanine, which can boost the production of endorphins in the body. Green tea has also proven to boost dopamine in areas where it is needed in the body. While there are a number of other natural nutrients and supplements available, many of them have not truly been proven to help reduce anxiety and depression. Though some forms of depression and anxiety require prescription medication, natural remedies might be an alternative for some milder symptoms. You will reap some benefits from activities such as exercise, meditation and changing your diet to include healthier foods. Before beginning any exercise or supplement regimen, it is important to speak with your doctor about what options are best for you. And, you should always speak with someone if you have feelings of sadness and hopelessness.